Quinns: You know how we usually do silly intros for the Games News? Paul: Absolutely. That’s classic Games News. Quinns: Well, I dunno if we have to today. I think our top story already sounds like a Dr. Seuss story. 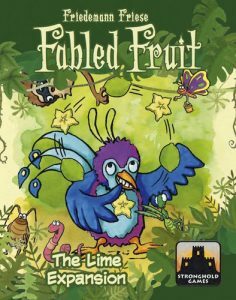 Board game designer Friedemann Friese, who likes to make games that begin with the letter ‘F’, has announced a series of sequels to his title Fabled Fruit. Fear, Fortress and Flee are his three new games in the Fast Forward line, all of which use the Fable system (see below). All of these games are green, because Friedemann likes green games (and has green hair). Speaking of which, they’ve also announced the first expansion to Fabled Fruit, and you’ll never guess what it adds. Paul: What does it add? Meanwhile, the Fast Forward games coming after Fabled Fruit are even more ambitious. They still use the “Fable” system that develops the game with each new playthrough, but “Fast Forward” refers to a new design ethos where no manual is required, and players simply learn the game by playing. Paul: Hang on. This is the same designer that gave us Five Oh Four, the game that almost killed me. Five hundred and four different board games in one box, none of them good. Quinns: Yes! Which is why a box containing Fabled Fruit and the Fast Forward games is being sent by Stronghold to my house, and not yours. I’m actually excited to try these! You’ve suffered enough. Hey look! Another newly-announced game that lets me play the enthusiastic stepchild to your crepuscular uncle. 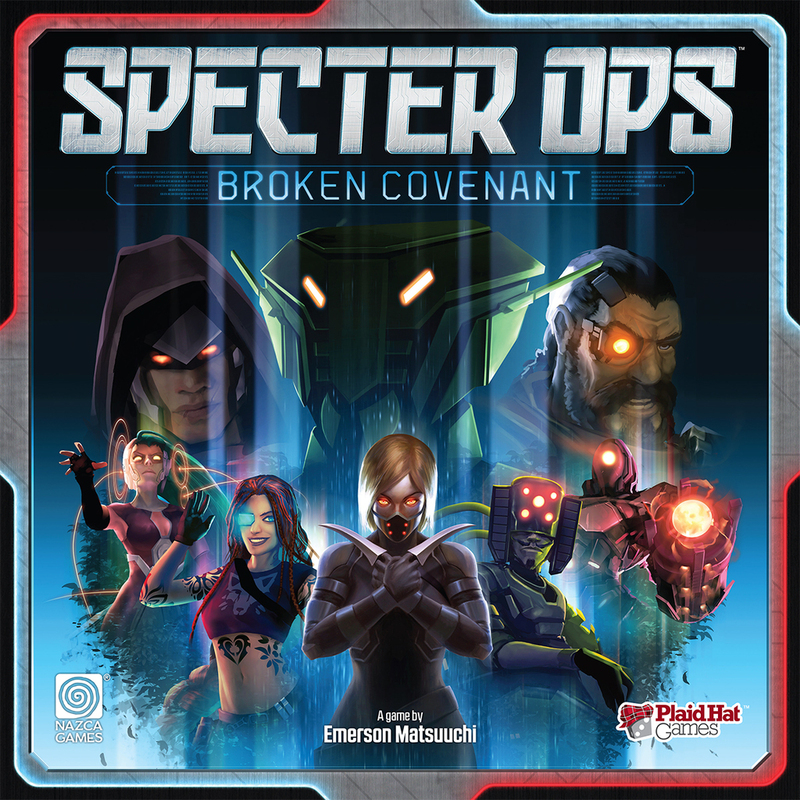 I never played Specter Ops after I heard from you (and others) that it wasn’t great, but we can all agree that the concept was great. 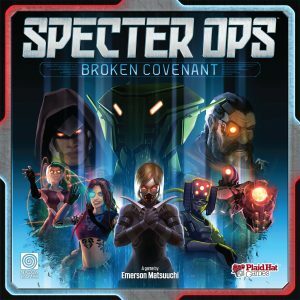 If Specter Ops: Broken Covenant can do for this game what Whitehall Mystery did for Letters from Whitechapel, taming the original game’s ambition and smoothing out the creases? Sign me up. Paul: Oof. I wasn’t excited about the original Specter Ops at all, but I’ll keep an open mind! Plaid Hat have still scored more hits than misses, many of which have been firm, confident hits. Solid hits. Hits that we’ve appreciated for their pugilistic and percussive qualities. Ow. Quinns: The industry continues to nose at app-based enhancements like a naked mole rat snuffling at a large and thorny beetle. 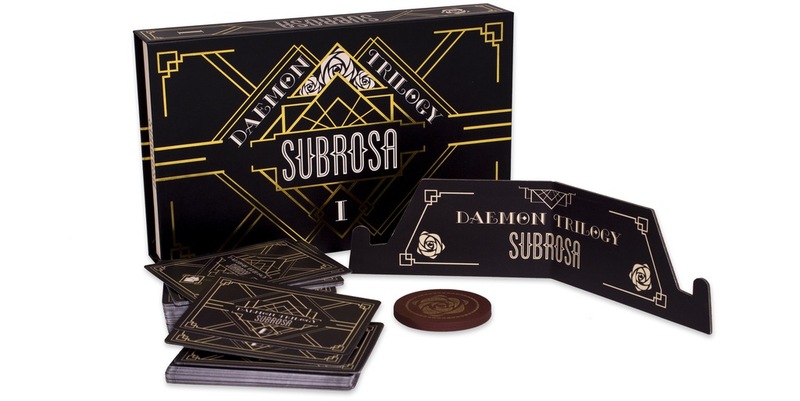 The forthcoming Daemon Trilogy: Subrosa is part app, part card-drafting game and ostensibly politcal. It also boasts legacy elements and oh my goodness I am looking forward to app integration being the present and not just a wobbly-looking future. Paul: An app helping me sort out my Machiavellian meandering is just fine by me. I know there’s still some resistance to integrating games with apps, and not every game wants or needs this, but they’re another wonderful tool in a growing toolbox and they can bring so much to the table. Also, I’d much rather have an app for a board game than an app dozen other silly things that people make apps for these days. Quinns: But hey! The Games News isn’t just about new games. It’s also about popular, undying games that keep producing expansions the way that elderly relatives produce gas. 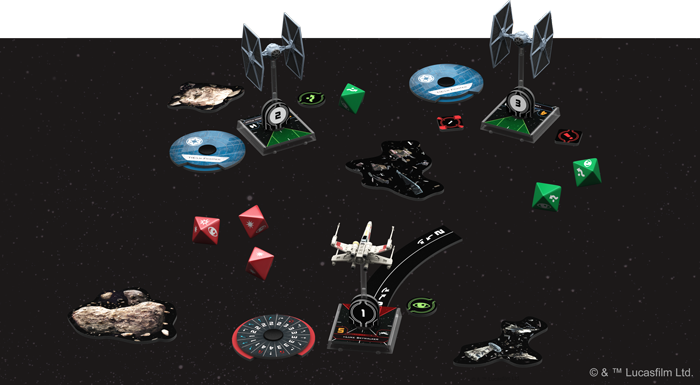 The imminent release of The Last Jedi has caused Fantasy Flight to announce two waves of expansions for their stellar (pun intended) X-Wing Miniatures Games. 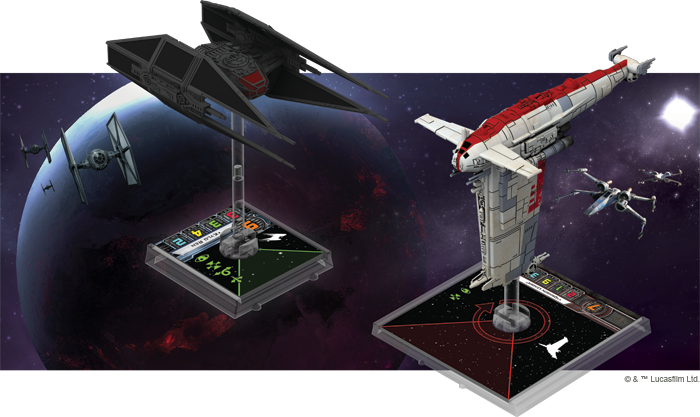 Wave XII will put players at the controls of the Cookie Cutter, the Space Pug and the Star Bean, while Wave XIII offers the Red Stripe and A TIE Fighter That Was Left In The Oven For Too Long. Meanwhile, Portal Games has just announced the 12th army pack for Neuroshima Hex! 3rd edition, a great game that SU&SD definitely could have provided more coverage of. Since the new Iron Army doesn’t look particularly exciting – they’re really just Mad Max-style road warriors – I’ll instead point out that lots of the other army packs for Neuroshima Hex! are really interesting, like a psychotic experiment known as “The Dancer” or a literal jungle. Ooh, you know what? The app of Neuroshima Hex is really good. I think I’m going to load it up during my lunch break. Jeez. Did you ever think that Shut Up & Sit Down would become a serious enough job that we’d get lunch breaks? Paul: You get LUNCH BREAKS? Paul: Ahem. 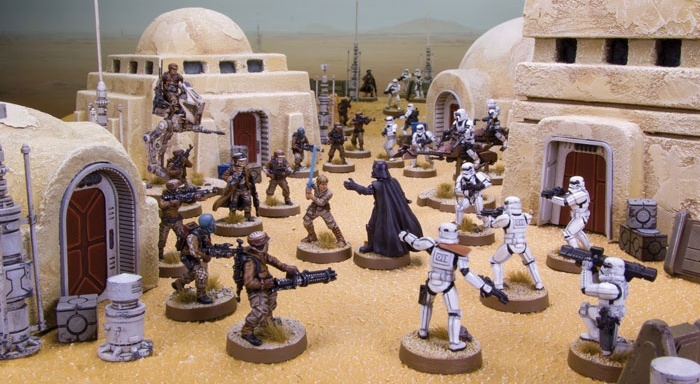 Speaking of Star Wars, this week we also saw Fantasy Flight Games respond to the growing discussion about a lack of women in Star Wars: Legion. 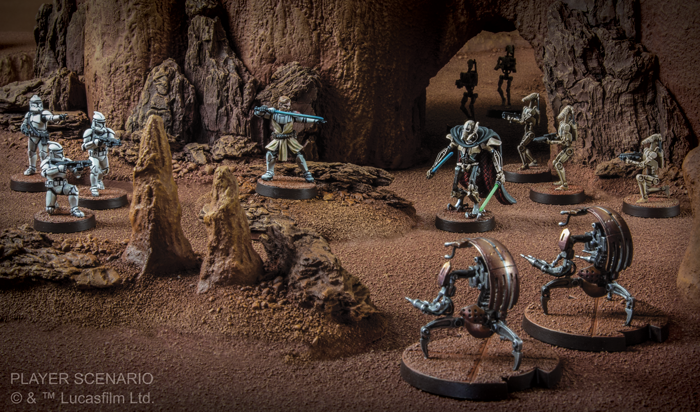 Their games have featured an increasingly diverse cast of characters over the years and so it was a surprise to me when, covering the GenCon reveal last month, I struggled to spot any women characters among the thirty-three miniatures. It turns out that there are some women in there, though only two. Talking with Tabletop Gaming, FFG said they could find ways to feature more women characters in forthcoming expansions, though they make the point that the source material doesn’t give them a huge amount to draw upon. When you take on a license, you also take on its limits and classic era Star Wars has an undeniable gender bias. That doesn’t mean you can’t push the envelope as hard as possible, mind. That’s what envelopes are for, right? Quinns: Can I mention a dumb bit of Star Wars trivia? Women rebel pilots were filmed during Return of the Jedi, only to be cut from the final edit. And while I’m struggling to back this up via Google, last time I watched that movie my friend pointed out one blink-and-you’ll-miss-it shot of a pilot who is a woman, but is dubbed over with a man’s voice. Credit where it’s due, Fantasy Flight has done an awesome job in recent years of making their games diverse and inclusive. They just also seem to be tangling with problematic universes. Finally, special thanks this week to SU&SD reader Philip Boyes, who linked us to his Bronze Age total conversion of Eldritch Horror. Not only has he transplanted the game to a different era and re-worked the characters, he’s also added new rules for personal objectives and made a concerted effort to make things historically accurate, not just exotic. Don’t know what Eldritch Horror is? Check out our review and our actual play video! Paul: This also means his cast of characters is deliberately representative of a different time and place. 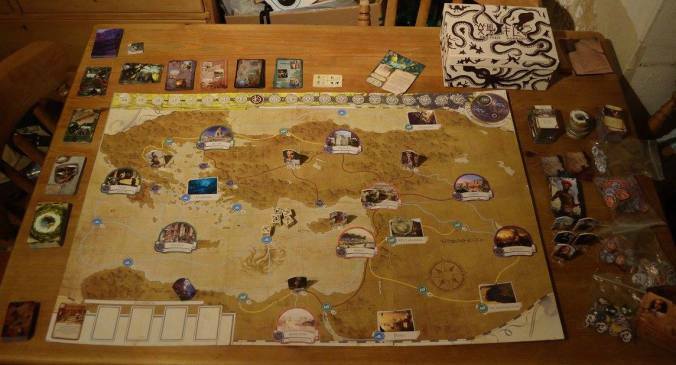 “In a conscious reaction against some of Lovecraft’s more unpleasant characteristics, and the often rather stereotypical depiction of non-white characters in Eldritch Horror, I did my best to make the cast diverse and to present them in the artwork as genuinely Mediterranean- or Near-Eastern looking, rather than blandly Caucasian,” he writes. Fine work, Philip, this is some impressive board game modding. Have you modded any board games recently? Has it gone well? Do let us know. I like it when people tinker.